If you are a fitness professional working with seniors, you’d better have a good relationship with your physical therapy department. According to the Centers for Disease Control and Prevention, one in three seniors over age 65 falls each year, with 20 to 30% of those falls resulting in severe injury. 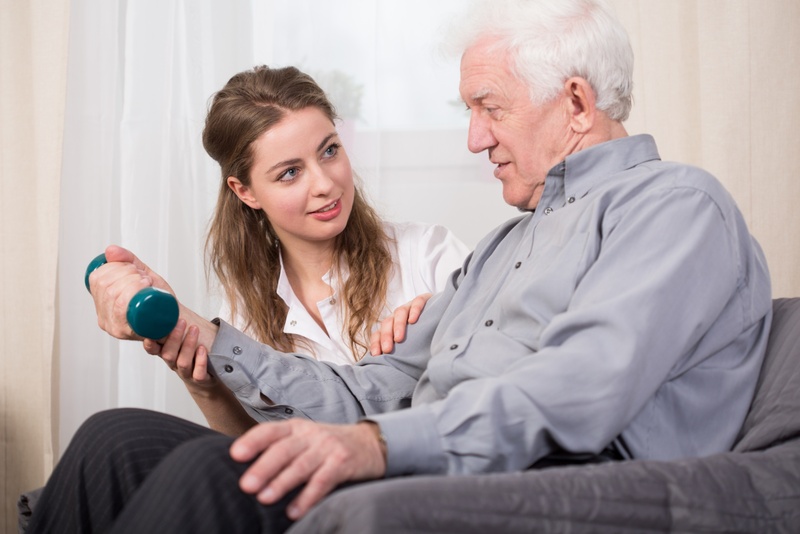 I feel we, as fitness professionals, should have a positive relationship with the therapy department, and we should have a basic understanding of physical therapy protocols, such as Medicare limits. Knowing this basic information may help change the mind of a person who is trying to avoid therapy for one reason or another. When fitness staff and therapy work well together, the client/patient always wins, and that’s our ultimate goal. The next time you hear one of the aforementioned reasons for not going to therapy, here is some information you can provide that they may not have known. Physical therapy, speech therapy, and occupational therapy are covered under Original Medicare; the therapy caps for 2015 are $1,940. If this is the option they would like to go with, Medicare part B will pay 80% of the services and require them to pay 20%. Their cap resets after each calendar year, something many seniors don’t realize, so they may be fearful that they will have to pay 100% of the costs when in fact that isn’t true. If the person has Medicare Advantage plan or any other detailed questions, I would suggest sending them to this section of the Medicare website, or to the therapy department. After all, we are laypersons in the field of Medicare, but our primary goal is to help them, so having this small amount of information along with other resources they can use may be enough to get them on the path to therapy. We make time for the things in our lives that we view as most important. All we can do as fitness professionals is stress how important their body is; it’s their choice to agree and make the time to take care of it. This might be the reason I hear most often. It is definitely flattering to hear the faith they place in your abilities, but we are not therapists and we must not overstep the scope of our training. Some people are really resistant to change, and their comfort level with you may be the reason they ask you to perform their therapy. I have found that if you show faith in therapy, and can suggest a therapist who you know is liked and gets positive results, it goes a long way in getting the person to consider therapy. Neither department is more important than the other, but both are necessary for a successful and lasting recovery. The best fitness-therapy relationships are symbiotic, with both sides helping one another and referring clients. For more on strengthening this relationship, get this Quick Read. Download our quickread for more about how intergrating services can be better for your resident's wellbeing.